The use of sound and music to alter our mental and physical wellbeing is a practice that has been around for thousands of years. 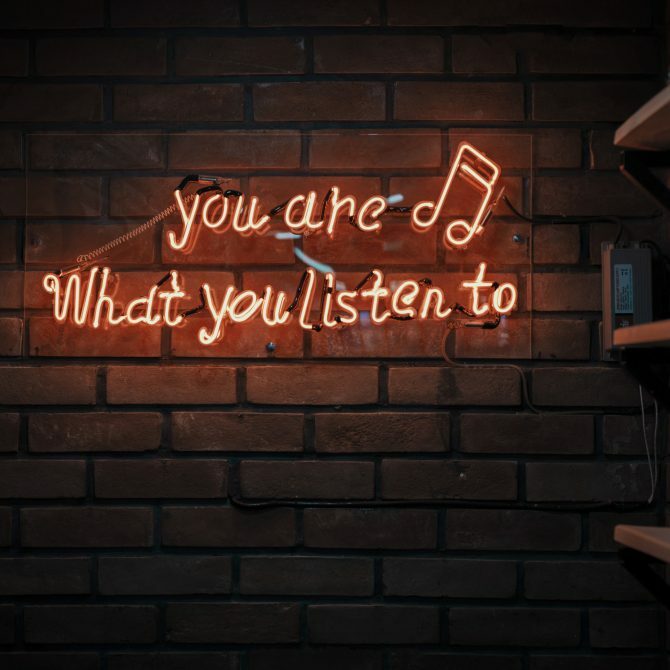 Even if you have never heard about music as a form of therapy, I’m sure you can remember a time when you have turned on your favorite song and felt instantly uplifted. Over the years scientific studies have researched and discovered a vast array of benefits from different forms of music and sound therapy. Music has been proven to help increase your dopamine production (also known as the “feel-good hormone”), which in turn leaves you happier and less stressed. It also has been shown to help balance the hemispheres in our brain making our memory recall better. Research that was done on stroke victims showed that songs were able to help the patient connect the right hemisphere, which takes over learning the melody, to the left which learns the words. This is also a reason why students are often taught to use musical mnemonic devices (eg. making songs out of facts), or play instrumental music in the background while studying, to help recall and store more information. It’s not just listening to music that has proven to be beneficial to our well being, studies have shown that people who learn how to play an instrument can strengthen their mind and even change their brain structure for the better. Learning an instrument helps with long term memory and for those who start learning an instrument early on in life, it can help lead to better overall brain development. The differences are so great that brain scans have been able to see the difference between the brain of musicians and non-musicians. Music is a form of art and as you improve your skills the better you will be able to express your personal artistic style! Creating music is a great outlet to express your emotions in a healthy and creative way. Playing an instrument also helps to relieve stress and gives you sense of accomplishment. Musicians are also better equipped to process multiple things at once because when playing an instrument your brain is forced to process many different senses at the same time. Music lessons strengthen the brain’s’ executive function which helps in processing and retaining information, emotional and impulse control, planning, prioritizing, problem-solving, task initiating, and organization. It is never too late to start reaping the benefits that playing a musical instrument has to offer. So dust off that old guitar you have in the back of your closet and sign up for those guitar lessons you always wanted to take, or simply play around with some notes and you will be surprised at just how good it feels! For a better understanding of just how amazing playing music can be for your brain check out this short animation made by TedEd. Sound healing has ancient and often spiritual roots and has been gaining popularity in the recent decade with sound healing businesses and retreats popping up all over the world. Many people wonder, what is the difference between sound healing and music therapy? The goal of both sound healing and music therapy are similar, in that they are both used to assist in healing and producing physical, mental, and emotional benefits for the person using them. However, the methods are slightly different. 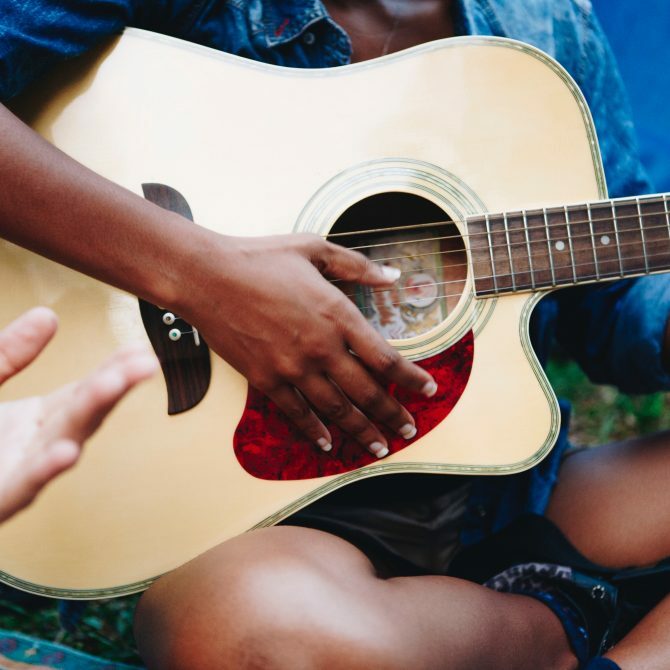 Music therapy is heavily based on what is known about music’s structure and rhythm and the ways in which they create a specific mental/physical/emotional outcome. Sound therapy uses music to guide healing, but rather than focusing on melodies, structures, and rhythm, it often focuses on specific frequencies. For example, music therapy may include playing uplifting songs to people struggling with terminal illness to help improve their mood and overall sense of wellbeing; While sound therapy might employ the use of Tibetan singing bowls, or tuning forks that emit specific frequencies and are believed to help balance the mind, and soul. Instruments are used in sound healing to help produce the needed frequencies. 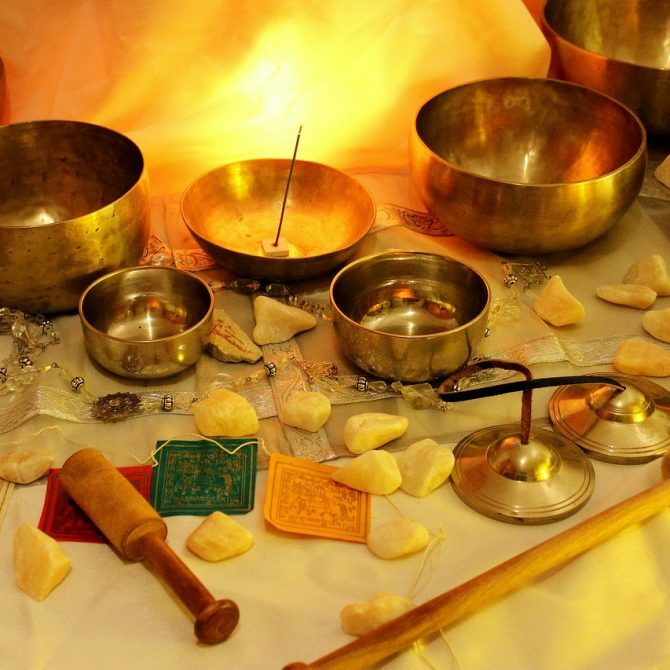 Here are 3 instruments that are most often used in different forms of sound healing. 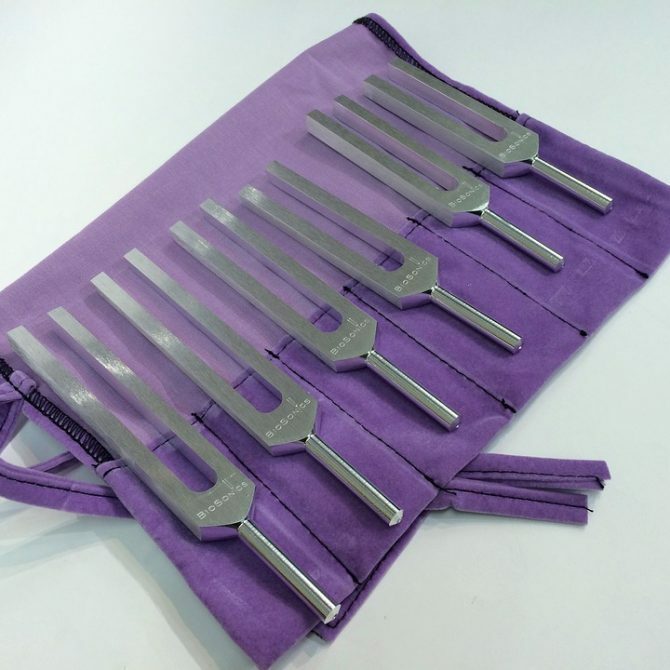 Tuning forks were invented all the way back in 1711, originally they were designed to help in the process of tuning instruments, playing a perfect note every time struck. This instrument is a tool used commonly today for sound healing. During the healing the session the fork is struck and then used in a similar fashion to acupressure. The base of the fork is placed on different parts of the body and the vibrations flow through, which is said to release tension and open blocked energy. Tuning forks are used to balance our energies and center us. 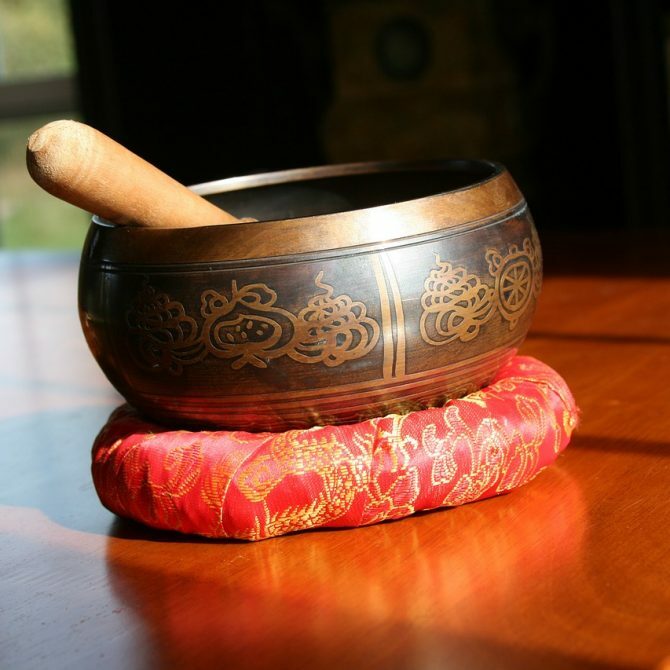 Singing bowls are one of the most popular instruments used in healing with sound. These have been used throughout Asia for meditation, ritual, and ceremonial purposes dating back as far as the 12th century. Each bowl is a different size and tuned to a specific note. Each note is correlated with their own chakra and used for balancing and healing of that chakra. Singing bowls are believed to calm and repair the mind as well as alleviate aches and pains, reduce stress and anxiety, strengthen the immune system, improve breathing and circulation, lower blood pressure, and improve the mood of the patient. The most basic musical instrument you can use for sound healing may surprise you and that is your voice! When you sing, hum, or chant, musical vibrations move through you, which can alter your physical and emotional wellbeing. 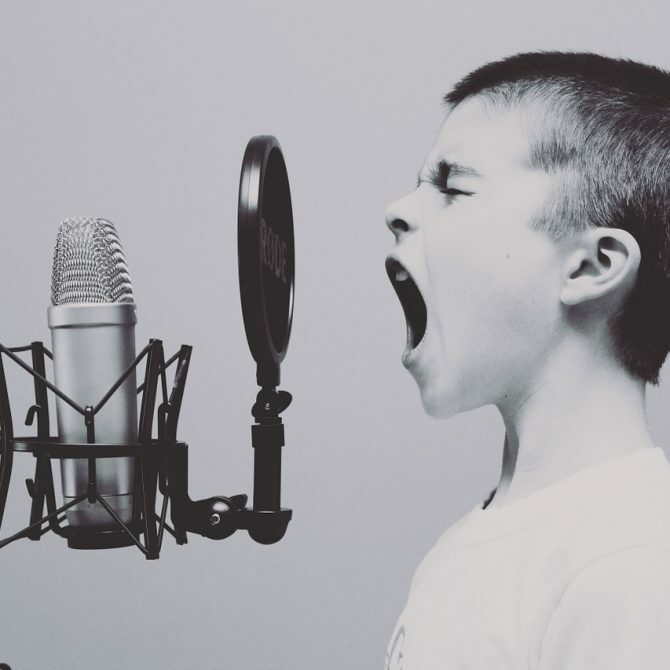 Studies have shown that singing releases endorphins, and oxytocin which are associated with feelings of pleasure, as well as lessened anxiety and stress. Not to worry though, these benefits are not just limited to those with good voices and perfect tone! While sound healing and music therapy are both vast subjects that still require much more research to be fully understood, those who try it often find it hard to argue with overall power of music and sound. Whether you are looking for new ways to reduce anxiety or pain, or just wanting to relax and rejuvenate, sound and music have so many different possibilities to try out. We encourage you to test as many as possible and find what works best for your needs. Remember, any music can be therapeutic, and playing an instrument or singing along can be simple ways to improve your life.